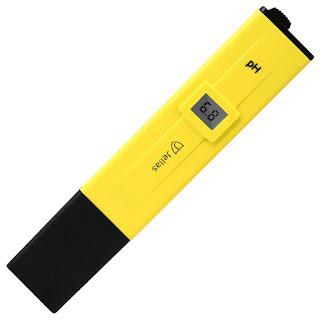 Just want to pick a pH meter? Once upon a time as a young lad, I used to work in a fast food restaurant that served chicken. It was a great gig as a student as I was never hungry - sweet deal eh? Having never really paid much attention in school science, it was at this job I learned about pH. How did I learn about pH levels and why are they so important? You see I accidentally splashed some Sodium Hydroxide cleaning agent in my eye. In layman's terms, I bathed my eye in Caustic Soda! It was a pain not worth knowing and resulted in a trip to the hospital and a saline bath and an eye patch for a week while my eye healed. So after having learned that a strong alkali like NaOH has a high pH, it was no surprise to later learn that homebrewers care just as much about the ph of their beer as I do not want to blind myself with industrial strength chicken grease cleaner! Brewers (and kombucha brewers would you believe) are interested in the pH of their beer because different levels cause the beer to have different characteristics of flavor. There are many other reasons to use ph meters of course. Those in the food and beverage industry need to ensure food is not to tart and the agricultural uses are plenty - soil acidity testing and hydroponic uses are pretty common. How do beer brewers test their ph levels of beer wort? They test their water and beer by using calibrated pH meters. 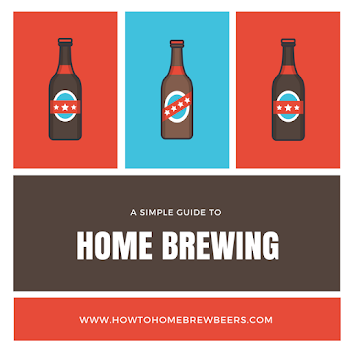 There's two approaches to this part of making beer - the cheap and cheerful units that will give a fairly accurate reading but not forever, or the more sturdy units that will give you a finely accurate reading and go the distance with a seasoned brewer. Here are three of the cheaper options on the market. 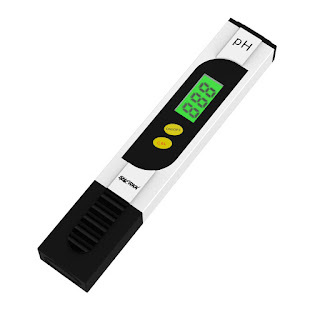 The Jellas pH meter is very affordable and useful for those who need a PH tester for household and laboratory use, it's not only ideal for household or laboratory use, also suitable for testing pH balance of drinking water, pool, aquariums and of course beer. Fair warning, as it's a cheap device, it's not suitable for all day everyday use. The manufacturer claims it's highly accurate for measuring a range of 0-14 PH, 0.1 PH resolution, measure & display pH results simultaneously with LCD display and that it does a reliable and quick reading. It's easy to use - you just simply remove the protective cap and immerse the pH meter electrode in your solution and turn on the pH meter. The manufacturer does give fair warning that the glass probe can be fragile and that it should be gently wiped down after use with a clean, soft cloth before capping it again for storage. "I would absolutely recommend this meter to anybody that is looking for a PH meter/tester." "I love it as it is easy to use and takes the guesswork out of the PH of your brew"
"Was spot on with calibration out of the box". While you could always drive to Walmart and not get a car park, you'd do well to check out the price on Amazon. Boasting a handy portable design, the Sharkk Basics ph Tester measures the full spectrum from 0-14, the pH Tester. The manufacturer states their product is guaranteed to display accurate results after each and every use. Use of the Sharrk is dead simple, simply place the pH tester in any liquid to be tested and wait for the reading to display. The calibration button resets the tester in between reads. A handy backlit LCD display means you can easily see acidity/alkaline levels of beer. You can of course also use it on your swimming pool, drinking water and even your food! A user on Amazon gave a review and said of the Sharkk: "Nice quality and accurate, was able to calibrate and check aquarium pH in minutes. Comes with a nice translucent plastic case. If you are looking for an affordable, quality devices, check out the below suggestions. If you looking for an upmarket solution to measure you pH solutions then the tried and true Bluelabs brand has the measuring device you are looking for. 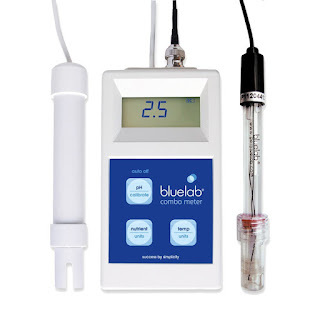 The pH probe is replaceable so you can use this meter for years to come and you should be able to do as Bluelab offer a 5-year warranty on their product which should give you an idea as the quality of the product and the faith the brand has in it. This is a pricey unit. If you are looking for a mid range device, Blue Lab's portable pens are in the hundred dollar range. The MW102 Standard Portable pH / Temperature Meter Standard is a standard portable meter that does the business for many home brewers. The Milwaukee brand is recognized as having a reputation for producing low cost durable meters which give quick readings and ones on which you can depend. Milwaukee’s manufacturer boasts that their devices are "manufactured to be easy to use, practical and accurate. Ideal for the classroom, laboratory or for general field use". Which is code for, yes you can use it to check the pH of your water or wort! The MW102 is a microprocessor-based pH and temperature meter with extended range (-2.00 to 16.00 pH). Featuring Automatic Temperature Compensation, automatic calibration in 2 points and ±0.02 pH accuracy. 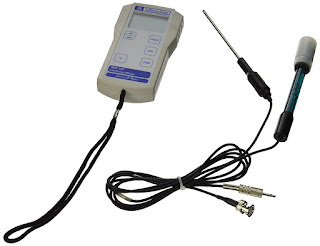 The meter is supplied with a pH electrode and the necessary calibration solutions. The battery life features a whopping 300 hours so that's a lot of brewing time! Especially as the Milwaukee features an auto-off that kicks in after 8 minutes of inactivity. A keen brewer on Amazon reviewed the Milwaukee 102 as a "fantastic tool to have in my brewing arsenal. I originally bought it for taking readings while kettle souring, but it's been invaluable as I dove deeper into water profile and mash pH adjustment. It's a bit more expensive than some of the cheaper meters out there, but you get what you pay for. Worth every penny in my book, and I regularly recommend it to those in the market for a high-quality meter." That's some fair praise indeed. Check out the price on Amazon. What is 'calibration solution' and why do I need it? Calibration is a comparison between a known pH measurement (was referred to as 'the standard') and the measurement using your instrument. A properly calibrated pH water tester will ensure that you have an accurate reading. To get a proper reading, calibration solution or 'buffer' is used. Standard pH calibration solutions are great for use in virtually any application and with most meters. Don't forget to clean your electrode probes! Electrodes can and will wear out after sustained use. To prolong their life, it is essential that you get into the practice of cleaning them after every use. A careful wipe with a clean cloth and ionized water is often recommended. A probe that has become 'dry' needs to be hydrated by placing in storage solution before calibration. The hydrated layer takes 3-4 hours to form. pH is a figure that expresses the acidity or alkalinity of a solution on a logarithmic scale on which 7 is considered neutral, the lower values are more acid and higher values more alkaline. It is a measure of hydrogen in the solution so pH stands for 'potential hydrogen'. How do I lower pH levels?